The interior is elegant and modern with a light, spacious and airy saloon plus teak cockpit deck, providing comfort and sense of freedom to each crew member. The yacht has an elegant and modern design with full of light saloon thanks to side windows. Nice and cozy inside, convenient berths, spacious galley and many practical solutions make this boat feels like home even during the long journeys and for those who exceptionally value the comfort. The vast deck and interior provides each crew member with a feeling of spaciousness and freedom making the Delphia 47 the perfect yacht either to own or as a charter craft. 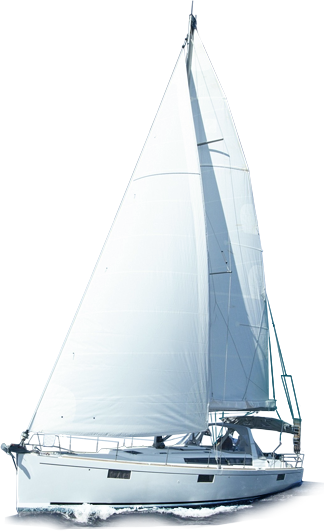 The Delphia 47 is a synergy between nautical architecture and traditional maritime craftsmanship. It features an YSI (Yacht Structural Integrity) integrated yacht structure using LIM (Laminate Infusion Method) vacuum infusion technology rendering the hull light yet extremely strong. The Delphia 47 is all one could wish for when planning a long distance voyage. Due to its excellent performance and specification, the Delphia 47 is the perfect choice for intercontinental and around the world travel. Winner of Croatian Boat of the Year 2009 in addition toa nomination for European Yacht of the Year 2009/10, the Delphia 47 is able to accommodate future customization dependent on the desires of the owner.